Last week Thursday, I attended the Coach House Flagship store opening on Fifth Avenue and might I add… it was awesome. Furthermore, I was ecstatic because Coach is one of the many brands I love. It was a three-story building filled with lavishly stylish clothing, shoes, bags and accessories. 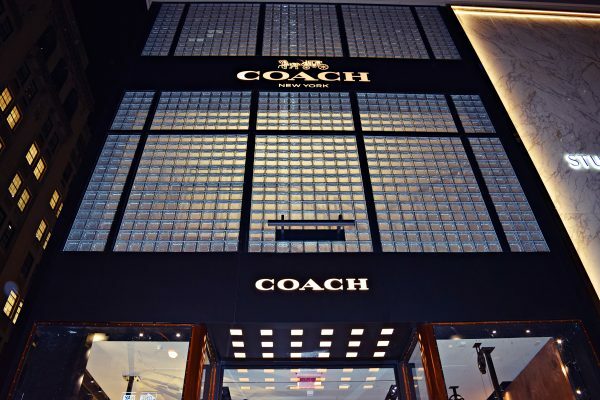 Not only was this not a regular store opening, Coach had graced their floors with delectable cocktails and hors d’oeuvres catered to attendees. Coach also had an in-store workshop where you could ask for customization leather aesthetics on bags and possibly an entire handmade bag from scratch. They did an exceptional job with molding textiles into the shape of primal animals. Coach endowed attendees with dino patches, brooches and your choice of getting a customized dog tag with monogramming. Thank you for reading. Until next time, enjoy the rest of your Thanksgiving weekend! Happy Styling!